The “love story” between Milano and Design is a long story, which began more than a century ago, as in all industrial countries, but became official and became exclusive after World War II, when Milan and Design decided to tie one to the other, doing the modern history of this discipline. Milano is recognized all over the world as “Design Capital” and the reasons can be understood by analyzing how in this city art, craftsmanship and industry have been developed in parallel, supporting each other and integrating, finding also the pleasure to involve the whole country Italy. The protagonists of this story are many artists, architects (the Italian master of design from Gio Ponti to Joe Colombo) who, together with new entrepreneurs, have not only produced objects but have above all produced a “design culture” that came to life in various forms. Knowing these authors, in their diversity and their work, is the best way to understand why Italian design has never become just a “style” but a kind of method, which magically has always given different results. These authors have lived the city full of events (history of the milanese context), have helped entrepreneurs to define their identity (stories of companies and territories), have formed spontaneous working groups (Radical Design) for the pleasure of sharing ideas and the aim of building a consciousness, as an important component of designing for a society. Art has always been the main driver of this discipline, perhaps because the aesthetics of a product is considered as important as its function (contemporary art and design). And this is typical for Italy where art history is evidently a heritage in which everyone is born and grown attentive to the beauty of things, past and therefore future. 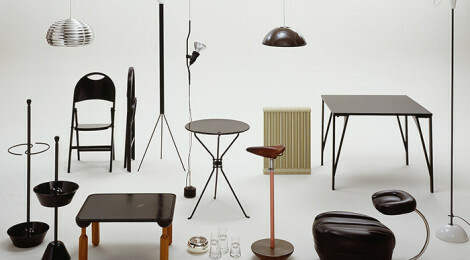 This free approach, of research, of art, of making, has found its greatest expression in furnishing and interiors, but also in the design of light, fashion, graphic, exhibit, (light design – fashion, graphic, exhibit) like other channels of elaboration of a whole world that immediately led to define that “everything is design”. Since the 80s, Milan has become an international city and so the new designers have become also authors coming from abroad (new generation of masters) who were studying in Italy and working with Italian companies. The city is an active situation, full of places that bear witness the great mine of precious culture that is available to everyone and only needs to be collected, by going to take it directly from the source (visits on design field).